Granville Tailer Woods was an African American inventor, and the first African American to be a mechanical and civil engineer. Woods was born in Columbus, Ohio in 1856 to a native American mother and African American father, which made him a child of mixed race. He attended school in Columbus until he was 10 years old after which he became an apprentice to learn how to be a machinist and blacksmith. In 1872, at the age of 16, Woods worked as a fireman at the Danville and Southern Railroad in Missouri. In 1876, he moved to the city of Springfield in Illinois where he worked at the Springfield Iron Works. He may have gone to college to study mechanical and electrical engineering from 1876 to 1878 but that is not documented and therefore uncertain. After finishing college, Woods got a job on board a British ship called “Ironsides”, where he quickly rose through the ranks to become the Chief Engineer. He then returned to America and took up a job as an engineer with the Dayton and Southwestern Railroad in Ohio. His interest in railways persisted throughout his life and many of his important inventions centered around it. He worked at Dayton for a little more than a year, then started his own business as an electrical engineer in Cincinnati, Ohio. Here he designed, manufactured and sold electrical equipment. It was during this period that he began his career as an inventor. His first patent was for a steam boiler furnace to which he had made several improvements. Another important invention was a device called “telegraphony” which was a combination of a telephone and telegraph and allowed telegraph stations to send voice as well as telegraph messages all in a single wire. The rights to this invention were sold to Alexander Graham Bell of Bell Labs and the money allowed Woods to stop worrying about his financial situation and focus solely on inventing like he wanted to do. One of his most important inventions was the “Synchronous Multiplex Railway Telegraph” also known as the “induction telegraph” – a device which allowed moving trains to communicate with stations via voice. This allowed better synchronization and coordination and also helped in hazard identification and management, such as potential problems on the tracks and changing routes if necessary. After Woods has patented it, Thomas Edison filed a lawsuit against him claiming that he had invented this first. Woods was successfully able to defend his patent in court, and Edison later approached Woods to take him on as a partner. This offer, however, was refused by Woods. People started referring to him as “Black Edison” because of his significant achievements in the same field as Edison. Woods then reorganized his business, calling it “Woods Electric Co.” and taking on his brother Lyates Woods as a partner. Here Woods designed some of his most important inventions such as an “Overhead Conducting System for Electric Railways”, that is, an apparatus to provide electric power to railways. He had inventions in fields other than electrical engineering and railways as well, for instance an egg incubation device. In all, he held more than 50 patents over his lifetime. He was remarkable, not only for being one of the foremost African American engineers and inventors and for his contribution to the fields of railway technology and communication, but also because he was largely self taught. 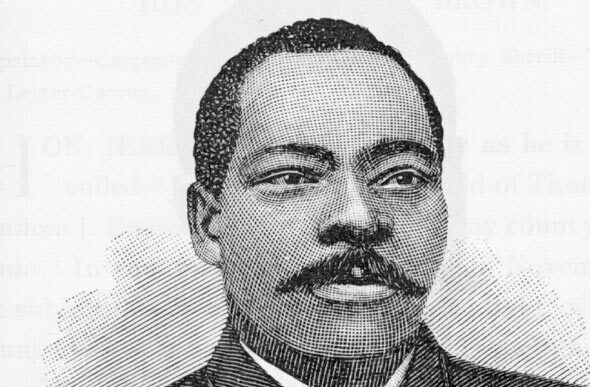 Granville T. Woods died on January 30, 1910, in New York City at the age of 53.